Winter storms are magical and mysterious. They blow into town, thick and blinding, covering everything in their path. Trash cans, dumpsters, orange traffic cones, brown brittle bushes──the ugly reality that existed before the storm──are suddenly transformed into sparkling snow-covered mounds. Real becomes fanciful. A white snow-globe world. And what about the people who get caught up in these storms, the locals and the stranded travelers? Do they fall into a stupor, letting their frustration blind them from the beauty of the storm? Or do they give in. . .take a peek outside and let the white world work its spell over them? 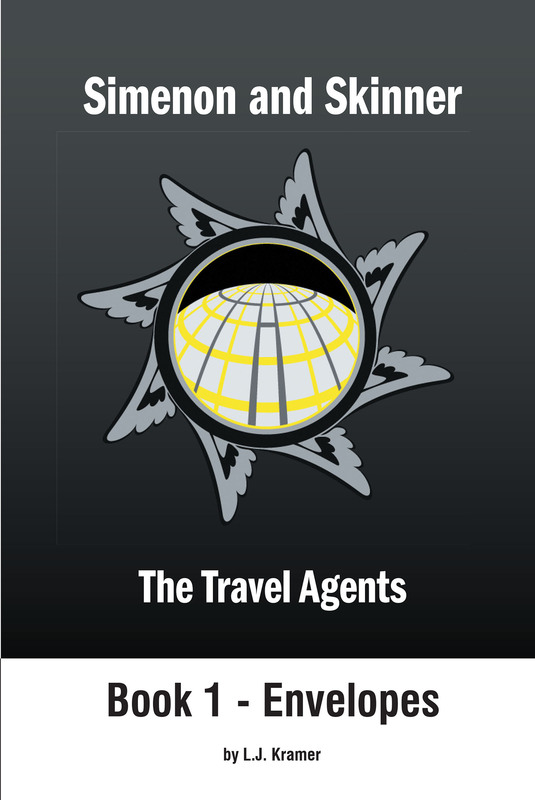 "Envelopes", Book 1 of Simenon and Skinner, The Travel Agents, is the story of Elgin Simenon and Adman Skinner and how they came to meet. It is a story of the real, the possible, and the impossible.